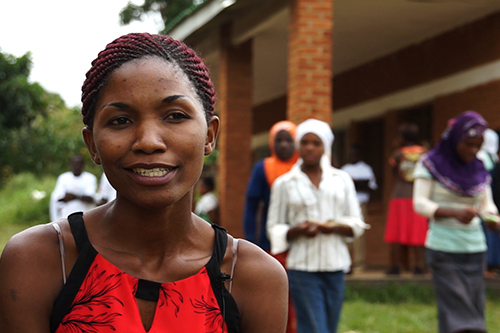 Attitudes like these are common among health staff in Malawi, where young people often have difficulty obtaining sexual and reproductive health care – including information on how to prevent unplanned pregnancies and sexually transmitted infections. UNFPA’s Safeguard Young People programme is working to improve their access to essential health information and services. The programme has helped the Ministry of Health train 120 health workers on adolescent’s sexual and reproductive health needs and rights, and on how to provide health services in a youth-friendly way. Poor access to sexual and reproductive health information and care are major concerns. HIV is the leading cause of death among adolescents in Africa; every hour, around 34 young African women are newly infected with HIV, according to a new report by the Joint United Nations Programme on HIV/AIDS (UNAIDS) and the African Union. Girls and young women are disproportionately affected by barriers to reproductive health care and information. 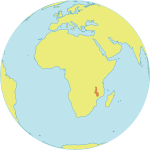 In Malawi, 3.8 per cent of young women aged 15 to 24 are HIV-positive, according to the 2014 Gap Report by UNAIDS. Among men in this age range, 2.4 per cent are HIV-positive. Birth rates among adolescents are also very high. For every 1,000 girls aged 15 to 19, 157 give birth, according to the 2014 State of World Population report (government figures show a slightly different figure: 143 births per every 1,000 girls). By contrast, the global adolescent birth rate is 50 per 1,000 girls. Although the Ministry of Education has begun to incorporate sexuality education into its curriculum, many young people not yet been reached. This makes health facilities all the more essential for providing information and care to young people. Yet many youth face long distances to health facilities, long wait times and negative attitudes from adults. “Young people need their own spaces where they can be free, and where people are specifically trained to address their issues,” said Dorothy Nyasulu, UNFPA’s Assistant Representative in Malawi. Safeguard Young People is working with the Ministry of Health to provide of youth-friendly health services in six Malawi districts with high rates of adolescent pregnancy, child marriage, gender-based violence and school dropouts. Youth-friendly services work on many levels, not only improving the relationships between young people and health workers, but also making facilities more inviting by providing separate spaces or hours of operation for young people. Youth-friendly services also provide HIV counselling and testing, sexually transmitted infection (STI) management, nutrition and substance abuse counselling, and family planning counselling and supplies. Outreach workers also disseminate information to young people, making them aware of their rights and the care available to them. 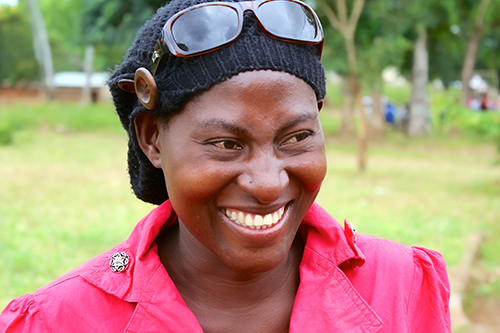 Malawi’s Ministry of Health has developed accreditation standards for youth-friendly services. Assessors now evaluate services for provider-client interactions, the availability of family planning supplies, and other criteria. Young people themselves are also asked for feedback. So far, more than 100 youth-friendly facilities have been accredited. To attract young people, Safeguard Young People is also providing targeted facilities with furniture as well as recreational and sporting materials. Many facilities work closely with youth clubs and organizations, linking young people to other programmes, such as scholarships. These efforts are working. In 2014 alone, some 395,307 young people, between ages 15 and 24, were able to access youth-friendly services in the six districts where Safeguard Young People operates.